Developed for outstanding on and off-road performance, this 4x4 tyre gives you the best of both worlds. 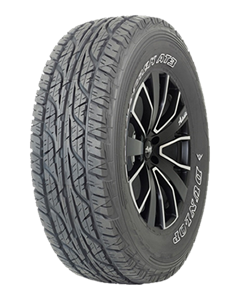 Enjoy high-speed stability and impressive off-road traction in tough conditions. The Grandtrek AT3 features lower noise generation for a quieter, more comfortable ride. Sorry, we currently do not have any tyres with the Grandtrek AT3 pattern in stock.